Highly regrettable that Parliament members are not given opportunity to visit Russia, says Foreign Minister Børge Brende. Bård Vegard Solhjell from Socialist Left Party and Trine Skei Grande from the Social Liberal Party are denied visa to Russia. Both are members of the Norwegian Storting’s Standing Committee on Foreign Affairs and Defence and were supposed to travel to Moscow for meetings on Thursday and Friday this week. Because of the visa denial, the other members of the delegation have called off the tour to Russia. The Ministry of Foreign Affairs delivered an apparent protest through diplomatic channels immediately after being informed about the visa refusal. «We have protested and said that we find the Russian decision unjustified and unreasonable,» says Børge Brende in a press-release posted Wednesday afternoon. The members of the Standing Committee on Foreign Affairs and Defence were invited to Moscow in a return visit after members of the Russian Federation Council’s Committee on Foreign Affairs visited Oslo last year. «The Foreign Ministry has today summoned the Russian Ambassador to repeat the protest,» Brende informs. He says meetings between parliamentarians is an important part of political contacts. «The planned visit by the members of the Standing Committee of Foreign Affairs and Defence would bring this dialogue further, the Foreign Minister underscores. Norway’s Foreign Ministry says Russian authorities justify the visa denial with Norway’s implementation of the European Union’s restrictive measures against Russia and that these measures also are made valid for Svalbard. The restrictive measures came in response to Russia’s annexation of Crimea and the destabilization of eastern Ukraine. 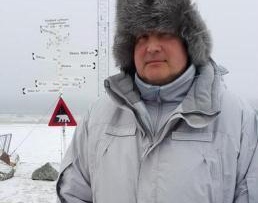 As reported by the Barents Observer in April 2015, Russian Deputy Prime Minister Dmitry Rogozin made a surprise appearance on Svalbard on his way to the North Pole. Rogozin is on EU’s sanctions list of individuals not allowed entry. Oslo responded to the visit by sending a clear message to the Russian Embassy expressing that people on the sanction list are not wanted on Svalbard. Dmitry Rogozin posted this photo on twitter of himself outside Longyearbyen airport in April 2015. In April last year, Chechen special forces used Longyearbyen airport on Svalbard for transportation of personnel and equipment for an airborne drill close to the North Pole. Solhjell and Grande is the first Norwegian parliamentarians to be banned entry to Russia. In Europe, 89 people are on Moscow’s counter-measures blacklist. 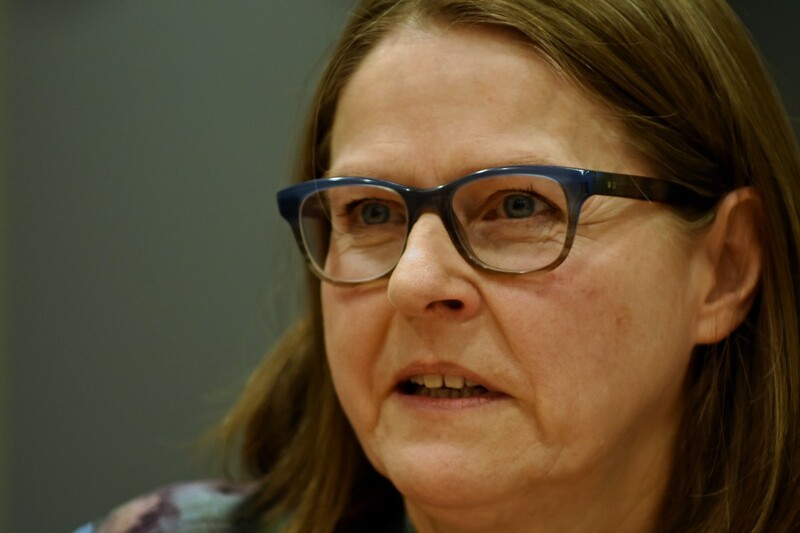 Among them is Heidi Hautala, Finnish member of the European Parliament representing the Green Party. In November last year, Hautala told the Barents Observer that EU and Russian parliamentarians should not be on any sides blacklist. «We need to talk and parliamentarians that today are on the sanctions lists could be removed,” she argued. There are several Russian parliamentarians on EU’s sanctions list. Press-attaché Maxim Gurov with the Russian Embassy in Oslo writes in an e-mail that the Foreign Ministry in Oslo was informed on November 29th last year about the list of persons who are denied entry to Russia. “The Russian stop-list was made as a completely legitimate response to the hostile, unprovoked acts by the European Union and joining countries like Norway,” Gurov says. He says the use of such tools like sanctions can boomerang those who initiated them. “We are sincerely interested in equal and mutually beneficial relations with Norway, including between the parliaments,” Maxim Gurov explains and says it is time for Norwegians to think about the efficiency of participation in any kind of anti-Russian sanctions.